“Glossophobia” is a fancy word for the number one fear in America: public speaking. More people are afraid of public speaking than dying, which has led comedian Jerry Seinfeld to joke that the average person would rather be the guy in the casket than the guy giving the eulogy. Fortunately, most pastors have overcome this fear, but there’s one thing that still unnerves many of them: managing their church’s budget. Managing any budget is a big task; doing it for an entire ministry can be daunting. From knowing when to cut back and when to expand to planning for a future that may take you outside your monetary – and personal – comfort zone, planning and executing a budget is crucial to your ministry’s wellbeing. That’s why we want to help you keep your church’s budget in order. 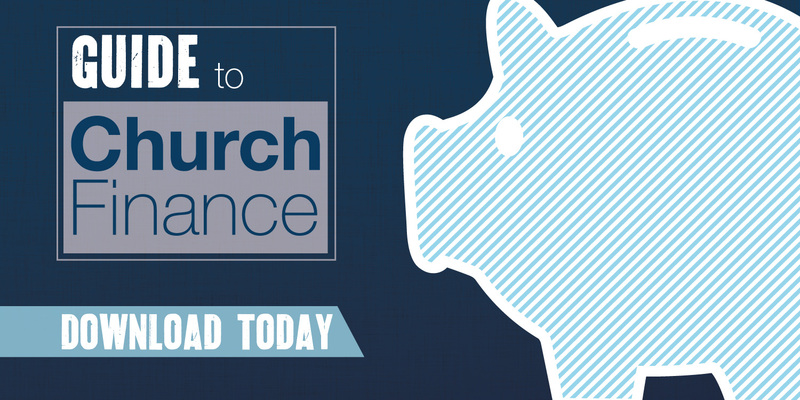 Our Guide to Church Finance is a free eBook that will help you navigate the world of church finance – including budgets – through three principles that are crucial to maintaining a financially sound church. Healthy budgeting and accounting practices lay a foundation of financial stability for your church, allowing you to keep your focus on ministry. Part 1 is all about core best practices for your ministry’s financial health and sustainability. Once you have solid financial practices in place, it’s time to protect your ministry from the unexpected. Part 2 outlines risk management practices and the role insurance plays in supporting ministry. As your ministry grows, new financial challenges arise. The larger your operating budget, the more important internal controls become. Planning in advance will help your ministry overcome many of these challenges. Managing a budget may not be the most fun part about your ministry, but it doesn’t have to be the most difficult. If you have questions about budgeting – or simply don’t know where to start – download our eBook. We’d love to be a resource for your growing ministry.